3.8 out of 5 based on 23 bloggers and 2 commenters. 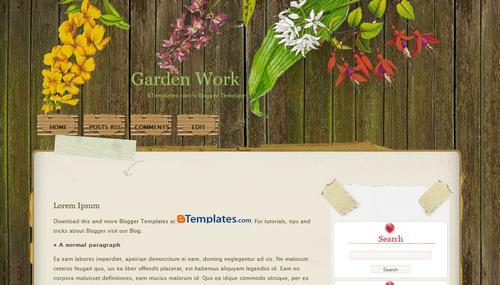 Garden Work is a free blogger template adapted from WordPress with 2 columns, right sidebar, rounded corners and floral motifs. why won’t the labels widget work with this? @Cait: The labels widget works percetly in this template. You must sure that you already added it in Design/Page Elements. Please, leave your blog URL when you comment.